At Aladdin, we work hard to meet your specific needs for storage. Our relocation customers may not have finalized their destination and now require storage. Some are waiting for homes to be built, some are moving into apartments which can’t accommodate all of their belongings and some just need extra space. Aladdin offers both long- and short-term storage options for your household and commercial storage requirements. 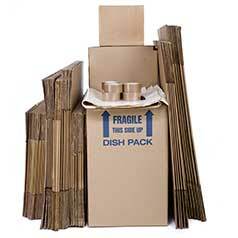 Our warehouse can accommodate a variety of storage items. Whether you need to store vehicles for the season or just need to free up some space within your office, our warehouse space has you covered. At Aladdin we work hard to ensure the well-being of your possessions while they are in our accommodating storage facility. Items, such as upholstered furniture, will be shrink wrapped for their added protection throughout their stay within our warehouse. We have a clean and secure storage facility located in Santa Rosa. Want to pick up an item or two? Your property is accessible within 24 hours notice. For residential storage in the Bay Area or commercial storage in the Bay Area, the choice is clear with Aladdin Transfer and Storage. Interested in more information about our capabilities for short- and long-term storage? Get in contact with Aladdin today to speak with one of our friendly associates in regards to your upcoming storage needs. Request a FREE estimate from Aladdin by filling out our quick quote form right now!